Nepal Quake – Hell in Heaven – Woof Woof !! Oindin 25 April when the earthquake hit I was at my home in Delhi with my parents. I sitting on the bed and felt the tremor. Told my mom. It was a strong one and lasted for ages. At that very moment I had the thought, considering the magnitude the epicenter must have been anywhere in Nepal, Afghanistan or southern India. 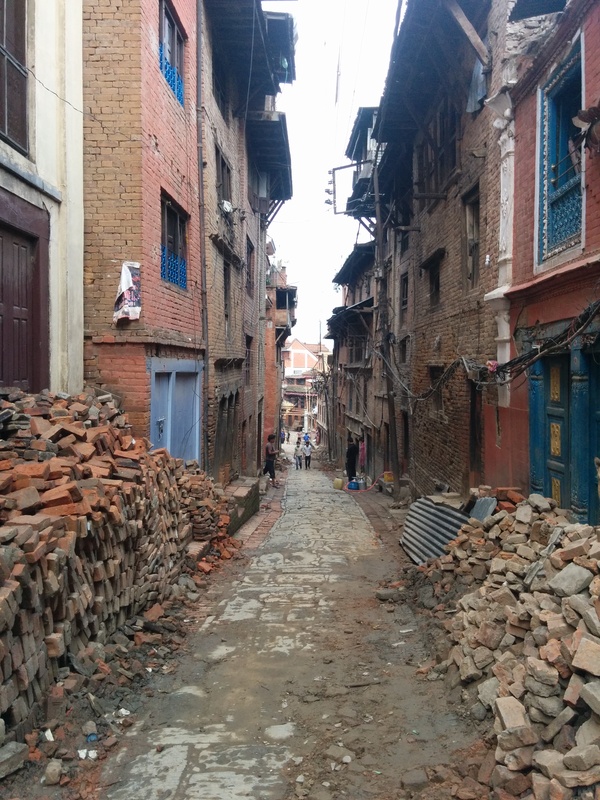 I hoped it was not Nepal as it would be devastating knowing the topography and preparedness. Checked twitter and found the quake was of 7.8 magnitude (some people say it was 8.1) and the epicenter was in Barpak in Gorkha district about 70 km off Kathmandu. I knew that the fury was unfurled. The first day news said around 600 casualties and some damage to property. I knew it couldn’t be true and the reality will be known in times to come considering the remoteness of villages in Nepal. My fear came true. Nepal was shattered and taken further years back in comparison to us. Read about it and saw pictures of the devastation. Couldn’t fathom what it would be like in Kathmandu and Nepal. The distinction as I believe Kathmandu is not even half close to the gorgeous other part of Nepal. I decided I had to do my bit. On 16 May we took a flight to Kathmandu. The route from the airport to Courtyard made me think did they really exaggerate the quake? No damage was seen. Reached Courtyard and saw cracks in the hotel walls and stairs. People were sleeping in the outside and they had a fear unknown to me. I still didn’t understand the devastation. Went for a walk in Thamel (the main tourist locality in Kathmandu). Everything was shut. It was like a dead city. Got back to hotel and had a quake measuring 5.5. The scare continued. We walked to Durbar Square. 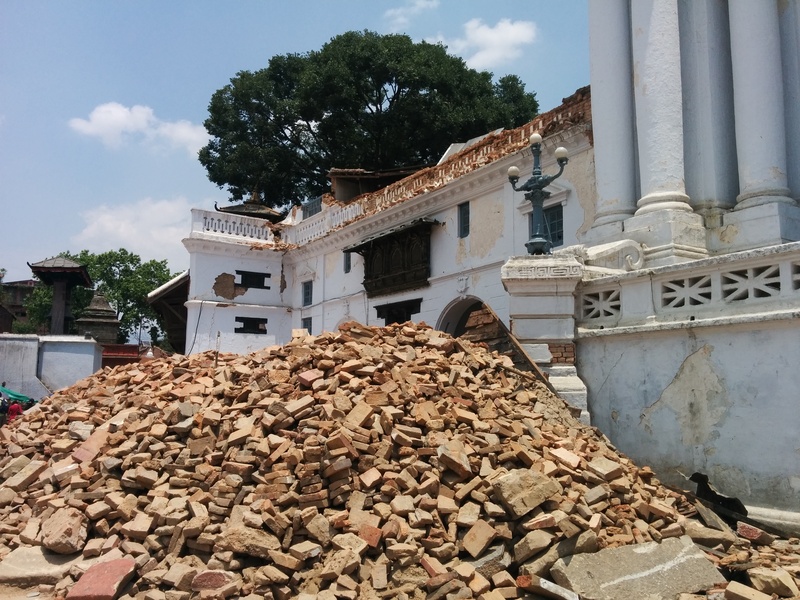 A big school was razed and temples severely damaged. Was late at night sitting with a bunch of people discussing their experiences. 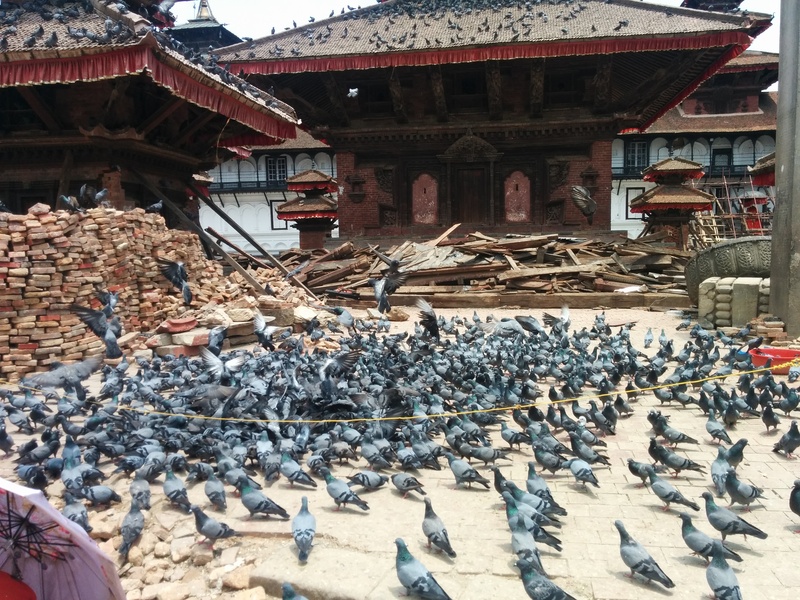 Some were in Kathmandu and one was at the Everest Base Camp during the quake. There was a strange calmness, the one that gives you a chill down the spine. That’s when I realized what the quake did. It had shattered the people more than the structures. Made them believe how tiny we are when it comes to gods fury. People were waiting for something bigger and more devastating. We drove down to Bhaktapur the next day. It’s one of the ancient city of Nepal. Famous for its durbar square which houses some beautiful temples and monuments. We passed through relief camps built in public parks and even at the Kathmandu Golf course. Hundreds staying in tents living on supplies by the government and the NGOs. Read an article in the local newspaper, someone at a relief camp termed life at the camp as a picnic yet the thought of future scared her. Bhaktapur was not the same this time. 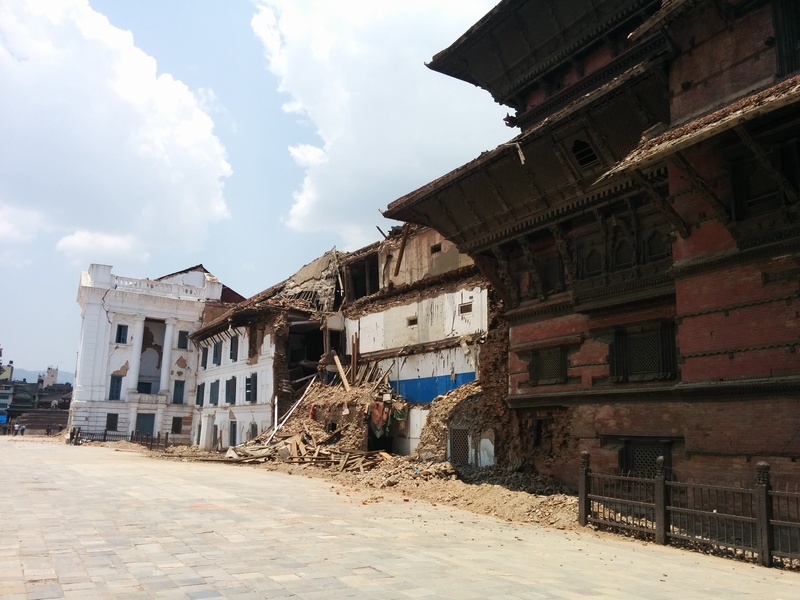 The beautiful Durbar square was broken. Ancient temples got razed. 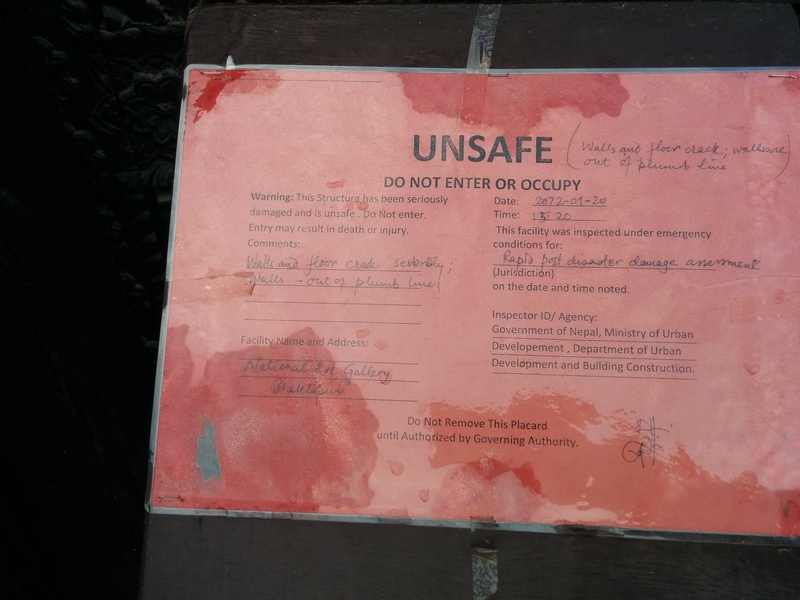 Monuments were down and those still standing have been marked as unsafe to enter. We went walking around Bhaktapur. There were lanes were 7 out of 10 houses were down. People had lost their houses and families. They knew nothing about how they would stand back even closer to where they were before. There was a strange sadness and gloom. Was driving back and saw people smiling and waving at me. Realized the sadness was my inner introspection. I was ready to walk out and meet people. Walk out of my comfort and know the reality. Help them with whatever I could. Walk out to a learning I never thought I would get at a calamity struck zone. Walk to a new life for them and for me. Met a bunch of guys doing some humanitarian work through an NGO called ‘Khusi Hona’. They sounded true and invited us to join them in aid distribution at a relief camp at Bhaktapur the next day. It was the start.